We understand what it’s like to live with pain or dysfunction. And we understand what it takes to truly fix it, once and for all. Our core services are chiro, physio, massage, and Pilates, which work together to ensure that your problem not only goes away, but stays away. Our chiropractors’ understanding of the neurological underpinnings of spinal stability, balance and postural control gives our practitioners a unique edge in the management of your problem. Our patients are constantly amazed and enlightened once receiving a clear explanation of these fundamentals of neurological function, and how they relate to their specific presentation. Our massage therapists, physios & Pilates instructors are amongst the leading practitioners in their fields, and will use their skills to get the best result for you. Our treatment approach and our techniques are proudly evidence-based, and our practitioners attend regular seminars and conferences to keep up to date with the latest developments in clinical research. A visit to Pinnacle Spine & Sports in Concord West could be the answer to getting rid of your pain and getting your life back. 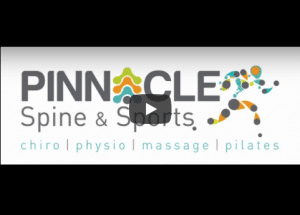 Call Pinnacle Spine & Sports on (02) 9743 2311 and discover the freedom to live your life as it should be enjoyed.